6 months of hard work, and I think we’ve built an app that you will use everyday. Wildcard 2.0 is laser focussed on helping you to know what’s going on in the world and online everyday. We’re opening up 1000 invites today before it’s officially in the app store. Click here to try it. Hope you enjoy! Wildcard is a news experience like no other. It’s everything that’s happening in the world that’s interesting and entertaining, broken down into easy, understandable experiences perfect for you phone. Whether you have a spare minute or a long commute, there’s always something fresh and interesting waiting for you in Wildcard. Wildcard is visual. We don’t always have time to read entire articles or blog posts. 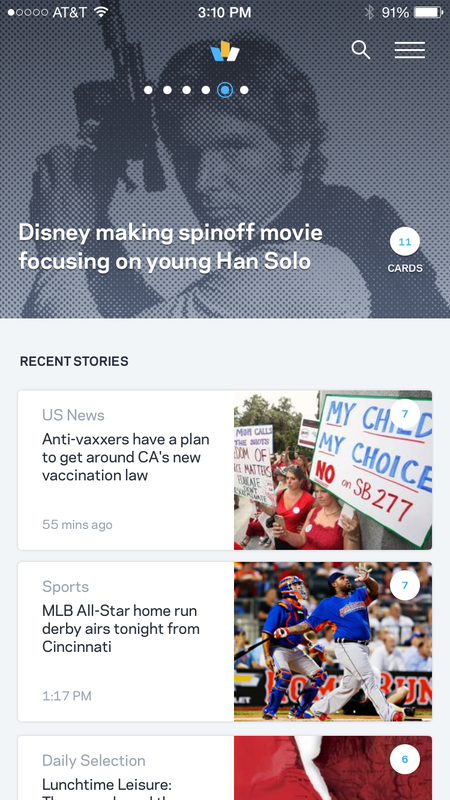 Wildcard is a visually stunning, easy to use news experience on the iPhone. We designed Wildcard specifically for your phone, to make skimming, browsing, viewing, reading, and sharing as easy as humanly possible. Wildcard is effortless. We make it easy to scan and find what interests you. It’s designed to get you right to the articles, videos, photos, and stories that you care about, from across the internet and all of your favorite sites and publications. Wildcard stays on top of the day for you, and YOU choose when and where to dive in. Wildcard is fast. We use streamlined card technology to deliver the internet’s content to your phone in high fidelity without the wait. See more, wait less. Simple. Wildcard gets smarter the more you use it. Not only will it show you what’s happening in the world every day, it can start to show you what’s happening in YOUR world, that you care about, based on what you read and share. The more you use use Wildcard, the better your feed gets. Think of Wildcard like a personal news concierge, that goes out and searches the internet for you every day. Oh, and you can connect your Twitter if you want a custom experience from day 1.